The hand held unit is effectively an “audit tool” that is used to undertake spot checks of processed meat. It will detect both visible and non-visible faeces contamination, even to the micro level. The hand held units shine a spot of blue light approximately 20mm in diameter onto the meat carcass or cut of meat (e.g. side of beef, hind quarter, shoulder etc.). When a positive reading for faecal contamination is recorded the unit vibrates and the array of LED’s on the display lights up to indicate the level of intensity of the contamination. 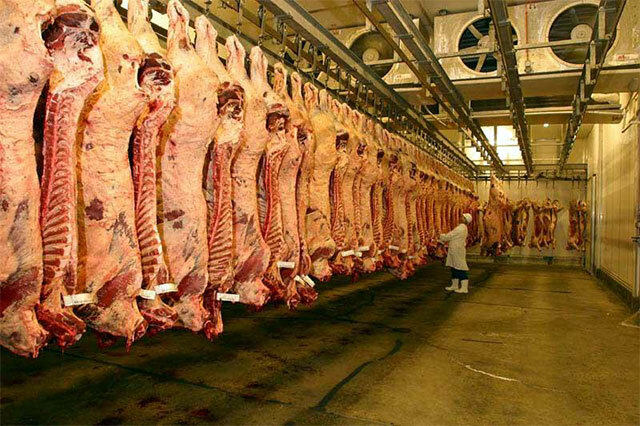 Contaminated meat can then be removed for re-processing or removed from the supply chain altogether. The light dot size was chosen as it is the same size and area as the “standard” for a swab test for microbial testing. 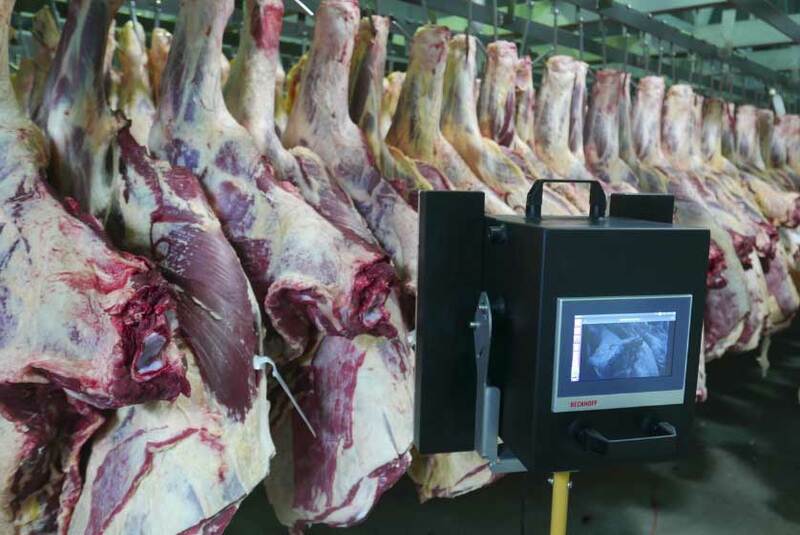 A key benefit of hand held scanners is that a carcass or cut of meat can be tested in real time and the user can quickly and efficiently move on to another area. There is no wait for three days for swab results to be tested and returned from the laboratory. The Hot Spot Camera has multiple use points in a meat processing plant (refer figure 2 and 3), allowing large volumes of meat to be scanned quickly. 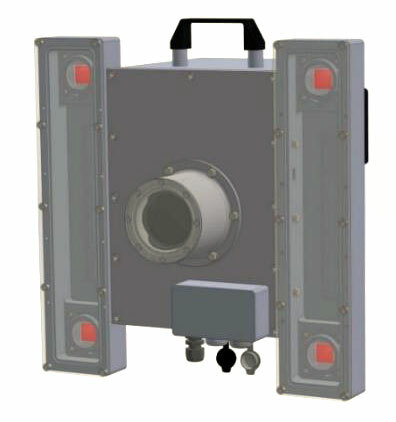 The hot spot camera has a number of applications (refer figure 4), such as an in-line mounted unit (e.g. above a conveyor belt), or as a fixed or moveable unit in a chiller. The key benefit of the camera unit is that it covers a much greater area of the carcass (approximately 700mm x 700mm). 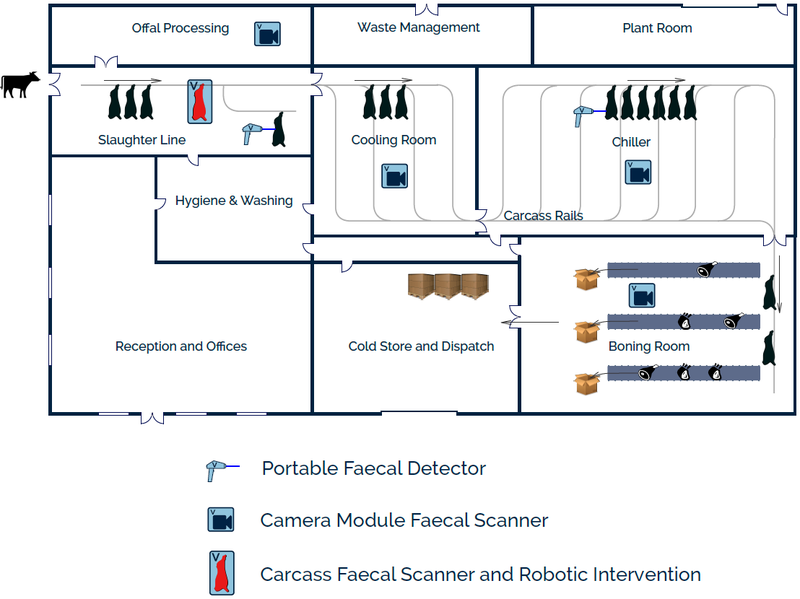 The camera unit can take still or video images and instantly shows the location of faecal contamination and displays a ‘figure of merit’ indicating the magnitude of the contamination. 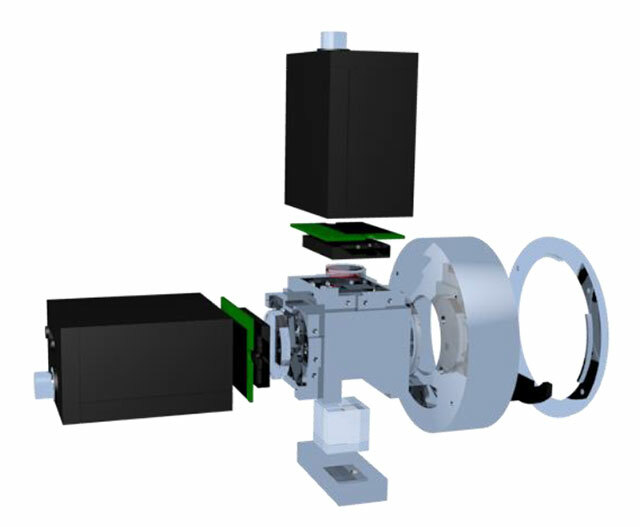 The internals of the camera unit (refer figure 3) show the beam splitter (glass cube at the bottom) and two “point Grey” camera units (black boxes) for signal detection and background subtraction. The lens mounting ring is the circular ring at the right hand side of the unit.